Will Keith Kellogg had no formal education after grade school, as his parents deemed it unnecessary -- early Seventh-Day Adventists, they believed that the world would end in their lifetimes. As a young man he assisted his brother, John Harvey Kellogg, in the operation of the Battle Creek Sanitarium, handling all non-medical management matters. Founded on Adventist principles, the Sanitarium touted a vegetarian diet, avoidance of alcohol and tobacco, a strict regimen of exercise, and such eccentric touches as yogurt enemas and mealtime marches to induce better digestion. The Kellogg brothers devised a method for processing cooked grain into flakes, introducing wheat flakes at the sanitorium in 1894 and corn flakes in 1898. Their cereals became popular at the sanitarium, and a former patient, C. W. Post, was inspired to manufacture and sell breakfast cereal. The Kelloggs marketed their corn flakes through their Sanitarium Food Company (later renamed Sanitas), but had a falling out when Will wanted to add sugar to make the flakes more palatable, and John objected on the grounds that the sugar was unhealthful. Will Kellogg established his own Battle Creek Toasted Corn Flake Company in 1906. The company changed its name to Kellogg Toasted Corn Flake Company in 1909, and added Bran Flakes in 1915, All-Bran in 1916, and Rice Krispies in 1928. In 1920 John Kellogg changed the name of his company to Kellogg Food Company, and both companies sold their dueling but similarly packaged corn flakes while challenging customers to accept no imitators. Will Kellogg took his brother's company to court and won exclusive rights to the family's name, but lost the right to call his best-selling product "Toasted Corn Flakes", as that trademark was deemed to belong to John Kellogg. And since "Toasted Corn Flake" was part of Will Kellogg's company's name, his company was renamed the Kellogg Company in 1922. The two brothers never spoke again. 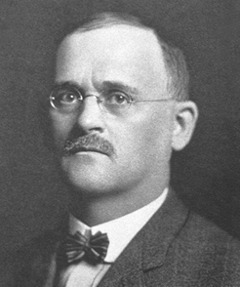 Wealthy but generous, Will Keith Kellogg established the W. K. Kellogg Foundation with a $46M grant at the height of the Depression, and instructed staff to "use the money as you please, so long as it promotes the health, happiness, and well-being of children". He gave his experimental farm to the Michigan State College of Agriculture & Applied Science, endowed a wildlife sanctuary at Wintergreen Lake, Michigan, and gave millions to other causes. He was blinded by advancing glaucoma over the last decade of his life, and said he would give all his wealth "just to see the sun and the green grass again". His guide dog, named Rinson, was the son of Hollywood's Rin Tin Tin. In his last years, Kellogg said his greatest joy came from being driven to the cereal factory and simply sitting in the parking lot, hearing the machinery hum and smelling the toasted grain.